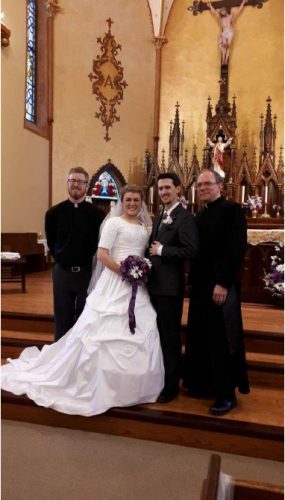 St. Raphael’s Priory of the SSPX in Winnipeg, Manitoba, Canada has published its March 2018 Bulletin in which there is a picture of a married couple standing beside a Novus Ordo priest and Fr. Richard Vachon, SSPX. 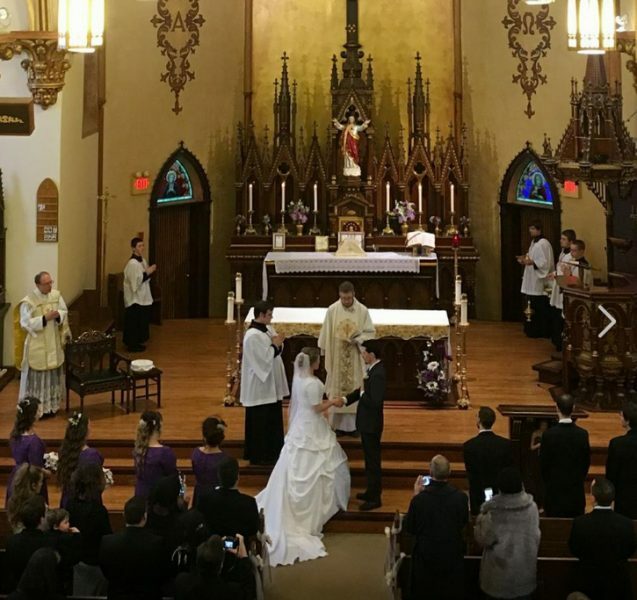 It seems that the couple were married by the Novus Ordo priest in his parish and Fr. Vachon celebrated the Traditional Mass afterwards. By this act, the SSPX Canadian District has implicitly admitted that the state of necessity no longer exists. Therefore, it can no longer resort to using the argument of supplied jurisdiction for the validity of its marriages. Wake up SSPX faithful in Canada! Your district has been Novus Ordoized! You may also listen to the Feb. 2, 2012 sermon here. Start at the 39:50 mark if you want to hear Bishop Fellay’s statement quoted above.